There are a number of helpful web sites for those interested in making prayer part of their everyday life. Here are a few. If you know of others, please go to the contact page and send me an email. 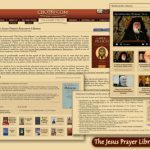 This excellent web site is a ministry of the Orthodox Church and centers on the “Jesus Prayer” which has been part of many spiritual practice since its creation in the Egyptian desert in the fifth century. Its practice leads one to the Prayer of Heart and Paul’s admonition to “Pray without ceasing.” This site includes extensive written resources on the practice. 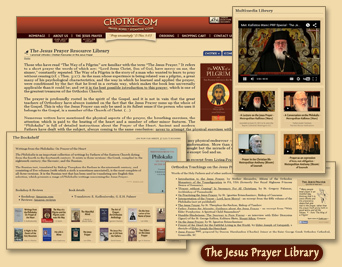 One can also purchase choktis or prayer ropes that are part of a practice of the Jesus prayer. This is a ministry of the Irish Jesuits. It provides a short daily meditation in the form of thoughts for reflection along with a selection from the Mass readings for each day. It is designed for busy people who often begin their day in front of a computer. In addition, you can download a week’s worth of prayers to your PDA using Advantgo.com. The prayer site has easy to follow instructions to do this. This is a ministry of the English Jesuits. It provides downloadable podcasts of daily meditations along with meditation exercises. There is an examen process podcast as well to review each day. Ignatius of Loyola, the 16th-century founder of the Jesuits, devised an “examination of consciousness”—a prayerful review of the day intended to help people recognize where they were finding, or needing to find, God in their lives. Other6 takes the essence of this centuries-old practice of the Examen and adapts it for today’s Internet-driven world by posing two questions: Where have you found God today? and Where do you need to find God today? Other6, an online ministry of Loyola Press, is Jesuit and Catholic in its inspiration but pushes no particular agenda; it is meant for anyone who seeks God with a sincere heart. Our prayer is that you will find this community a help in your search to draw closer to God. To learn more about Ignatian spirituality and the examination of consciousness (Daily Examen), visit IgnatianSpirituality.com.